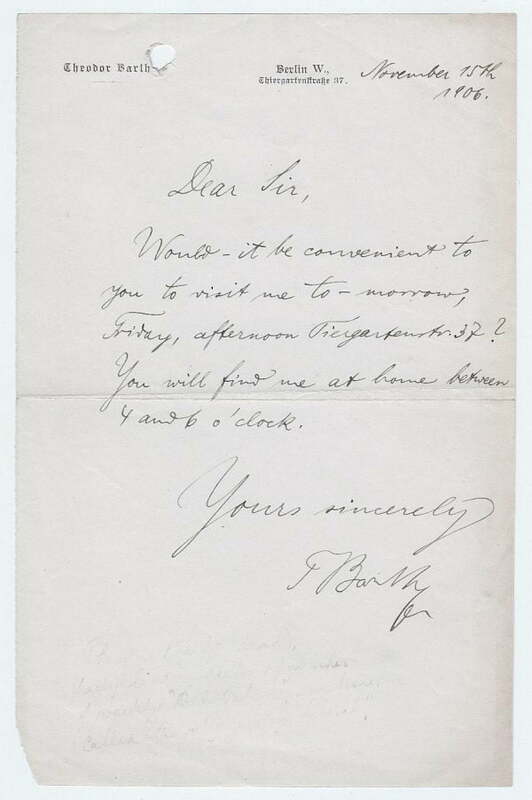 Autograph Letter Signed, inviting his correspondent to visit. 1 page, in English, 8.5 x 5.5 inches, filing hole, one tiny piece shaved at corner. Berlin, 15 November 1906. Theodor Barth (1849-1909), German editor and political leader. Liberal member of the Reichstag. Founded and edited (1883-1907) Die Nation.